Bieber’s fans – known as Beliebers – descended upon Carney via twitter as if going to war for Justin. There were insults, there was vitriol, there were outright threats and hundreds of grammatically challenged tweets all aimed at making Carney pay for his Bieber insult. 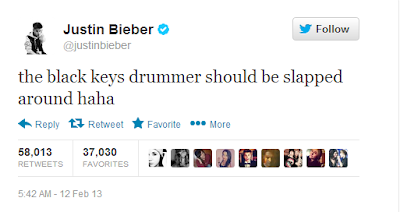 Carney then responded by changing his twitter name to Justin Bieber. He also changed his avatar to one of Justin’s face and changed his bio (several times) to reflect the insults hurled at him by Bieber’s army. The verified icon next to his name has thrown some people off, leading them to believe Bieber created an alternate account. 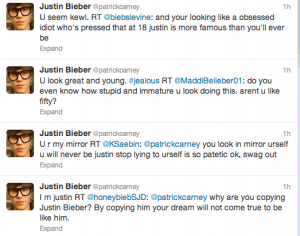 Since then, Carney has been tweeting no-stop, replying to seemingly ever single Bieber love who comes at him. Most of the time he’s poking fun at the Bieber tweeter but they either don’t seem to realize that or don’t care. Meanwhile, Bieber has remained curiously quiet about the whole thing. You’d think that when one summons an army of fans to do your dirt work for you, you’d have something to say about it. Show some gratitude? Join in with them? Or, even better, tell them to stop. 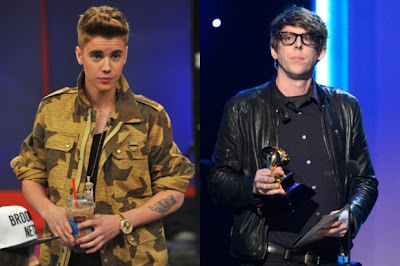 Sure, it doesn’t help that Carney is relentless in his dedication to a singular, unwavering cause (I’m guessing that cause is to slap back the fans who are virtually slapping him as per Bieber’s thinly veiled request), but I do believe it’s Justin’s move here. There’s no real moral or good ending to this story. Just leaves one wondering, perhaps, if Justin really is happy with his riches or if he’d rather have some awards to show for his work. Maybe a legion of teenagers who will twitter fight for his honor is his reward.